Astronaut Samantha Cristoforetti On Iss is a photograph by Nasa which was uploaded on July 24th, 2016. 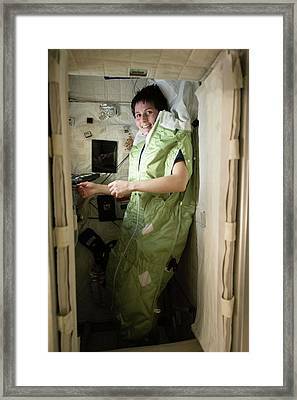 Astronaut Samantha Cristoforetti on ISS. 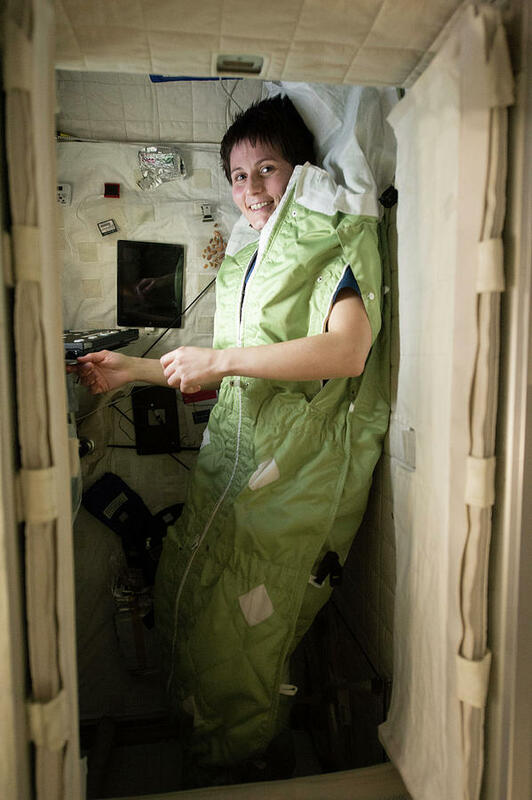 Astronaut photograph of Italian European Space Agency (ESA) astronaut Samantha Cristoforetti (born 1977) in a sleeping bag in her personal crew quarters on the International Space Station (ISS). Astronauts will strap the bag to the wall to prevent from free floating and potentially bumping into equipment while sleeping. Photographed on 6th December 2014. 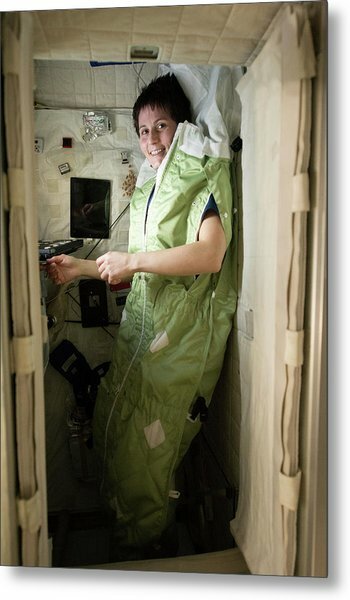 There are no comments for Astronaut Samantha Cristoforetti On Iss. Click here to post the first comment.